Fosina Marketing has built a leadership position helping marketers in all vertical market segments engage and retain new customers. Our agency leverages a robust digital marketing toolkit to provide the insight, strategy and execution that insures success against your marketing objectives. 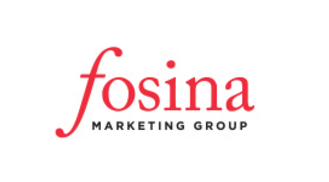 Fosina Marketing Group's focus it to be obsessed on providing our clients the support they need in Identifying and engaging their prospects and customers in themost cost effective and efficient manner possible. The Fosina marketing team works in tandem with the creative, technology and media teams to develop the latest solutions to help you navigate today’s media channels and increase your ROI.